Whether it’s a traditional English experience or that all American Adventure, whatever your preference you’ll find Gulf Language School suits your needs and tastes. Our Specialized classes are based on a focus oriented curriculum in General English, Academic English, Business English, and Test Preparation courses like TOEFL and IELTS. 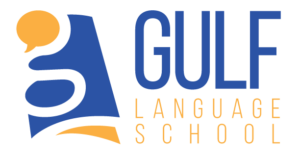 Through our professional, competitive, high-quality, and CEA Accredited language programs, the Gulf Language School will prepare you to achieve educational, professional, and personal success. Students who wish to study English as a Second Language classes (ESL) can apply directly to GLS. GLS provides intensive English instruction for international students who want to study at universities in the United States or improve their English language skills to meet personal and professional goals. Additionally, we offer test preparation courses and conversational English.